Arriving in the wee hours or have no time to pick up your card from the airport? Fast internet in the city. However, the signal is very weak to no signal at all while I'm in Ha Long Bay overnight cruise. One of the first things you will need to think about when planning a vacation to a foreign country is how you will stay in touch with friends, make bookings on the spot, call a taxi, contact your tour operator, and so on. With the 3G/4G SIM Card (HAN Pick Up) for Vietnam, you’ll be able to do all the mentioned tasks with ease. Don't waste any time trying to find a local operator in the city or go over your budget with international calls. 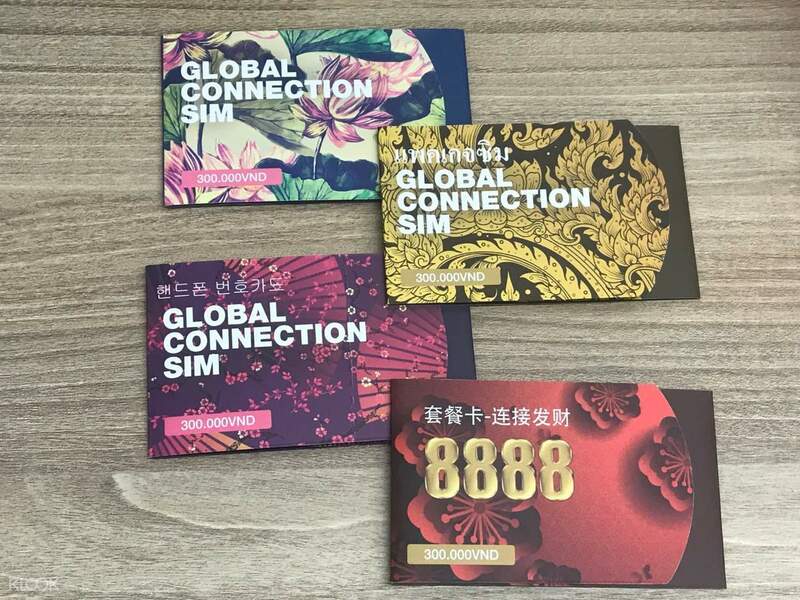 Just book either the Global Connection SIM or Tourist SIM and have it delivered to your hotel's front desk. Enjoy up to 2GB data coverage per day, which you can use to keep in touch with your driver, hotel, tour agency, and family while on your trip. 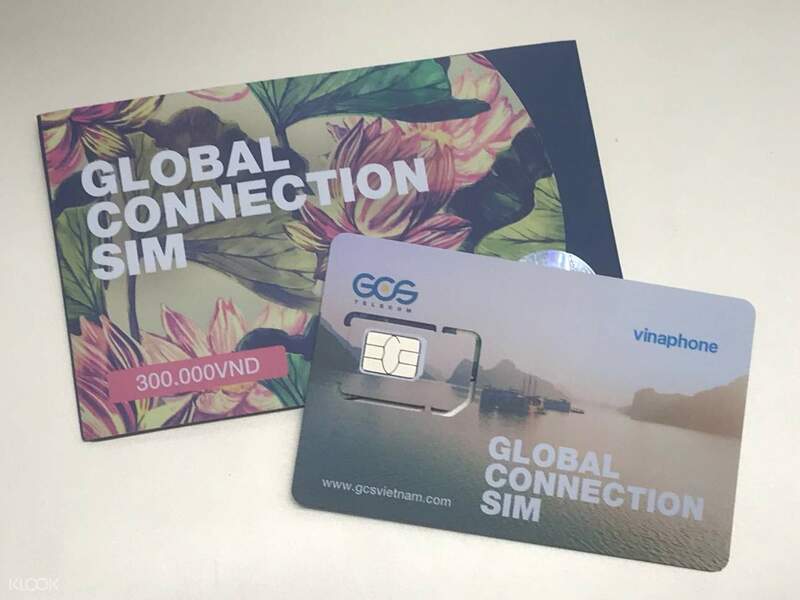 Start your exploration of Vietnam right away with your local SIM card! Sim was delivered to hotel the day before we arrived so our receptionist was able to give it to us immediately on our first morning. 4G/LTE connection is reliable throughout Hanoi + switch to 3G connection when going out of the city (i.e. we went to Ha Long and Hoa Lu/Tam Coc) and connection is still reliable. 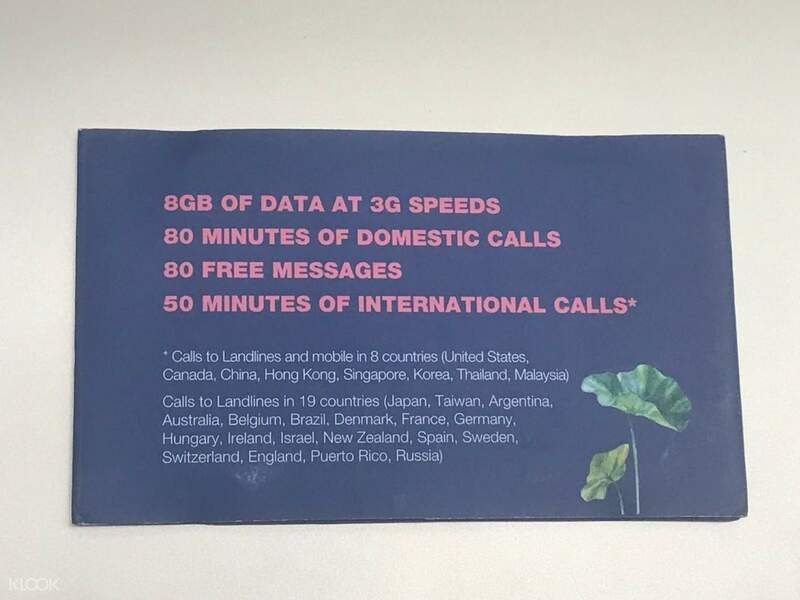 You might encounter prompt that cellular data cannot be activated (when on 4g) but simply switch your connection to 3g and connection will be back. The area might just not have 4g connection yet. We never experienced finishing up the 2gb data allocation even with 2 people using the data (1 person connected via hotspot). The sim also precut to accommodate any type of sim requirement. Sim was delivered to hotel the day before we arrived so our receptionist was able to give it to us immediately on our first morning. 4G/LTE connection is reliable throughout Hanoi + switch to 3G connection when going out of the city (i.e. we went to Ha Long and Hoa Lu/Tam Coc) and connection is still reliable. You might encounter prompt that cellular data cannot be activated (when on 4g) but simply switch your connection to 3g and connection will be back. The area might just not have 4g connection yet. We never experienced finishing up the 2gb data allocation even with 2 people using the data (1 person connected via hotspot). The sim also precut to accommodate any type of sim requirement. Always a hassle-free transaction with klook. They delivered my sim card on time in our hotel. I was able to use it right away and the signal is very strong. Very useful everywhere around vietnam. Always a hassle-free transaction with klook. They delivered my sim card on time in our hotel. I was able to use it right away and the signal is very strong. Very useful everywhere around vietnam. The sim card arrived the day before my check in at the hotel. Also, it came with the pin to open the sim card slot of my phone. I forgot mine at home so it was a lifesaver. Highly recommended. The sim card arrived the day before my check in at the hotel. Also, it came with the pin to open the sim card slot of my phone. I forgot mine at home so it was a lifesaver. Highly recommended. The SIM was already at the hotel reception table when I checked in. It comes with the pin to open SIM cartridge. Very very useful when going around Hanoi. Good signal. The SIM was already at the hotel reception table when I checked in. It comes with the pin to open SIM cartridge. Very very useful when going around Hanoi. Good signal. The tourist sim card was already at the hotel when i checked in. Super easy tl use. Good connection. Klook price cheaper than retail price of the sim card. Recommended for travellers. The tourist sim card was already at the hotel when i checked in. Super easy tl use. Good connection. Klook price cheaper than retail price of the sim card. Recommended for travellers. Very reliable and easy to use. No problem with connection. SIM card has different sizing, perfect for any device. It was delivered to the hotel I stayed, so convenient and hassle free. I will definitely buy again. Very reliable and easy to use. No problem with connection. SIM card has different sizing, perfect for any device. It was delivered to the hotel I stayed, so convenient and hassle free. I will definitely buy again. amazing, was so easy to book/pay and organise delivery to hotel. no issues, just put in phone and start surfing the net or make local calls etc highly recommend to organise before your trip to save time and energy at the airport or shopping around for a sim card. amazing, was so easy to book/pay and organise delivery to hotel. no issues, just put in phone and start surfing the net or make local calls etc highly recommend to organise before your trip to save time and energy at the airport or shopping around for a sim card. I normally pick up my SIM cards at the airport. This is the first time I've ever had it delivered to my hotel. This they did, 1 day before arrival. Simple pick up when you check in and the sims even come with the pin to open your phone. Those are so valuable! Speed was great; so much GB and worth every penny. Best deal I've found between Taiwan, Thailand, and Malaysia. I normally pick up my SIM cards at the airport. This is the first time I've ever had it delivered to my hotel. This they did, 1 day before arrival. Simple pick up when you check in and the sims even come with the pin to open your phone. Those are so valuable! Speed was great; so much GB and worth every penny. Best deal I've found between Taiwan, Thailand, and Malaysia.